The new cows have arrived! 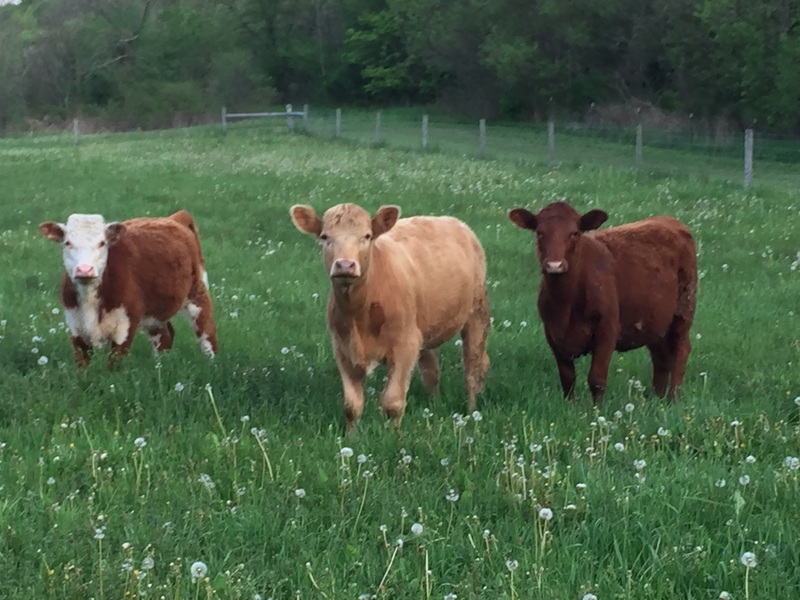 Three new 1-year-old cows were dropped off last weekend to spend the summer at our farm grazing on our pastures. Just like last summer, these cows are part of a pasture lease and the cows will eat the grass to help them grow to maturity while at the same time reducing our need to mow and maintain the pastures over the summer. 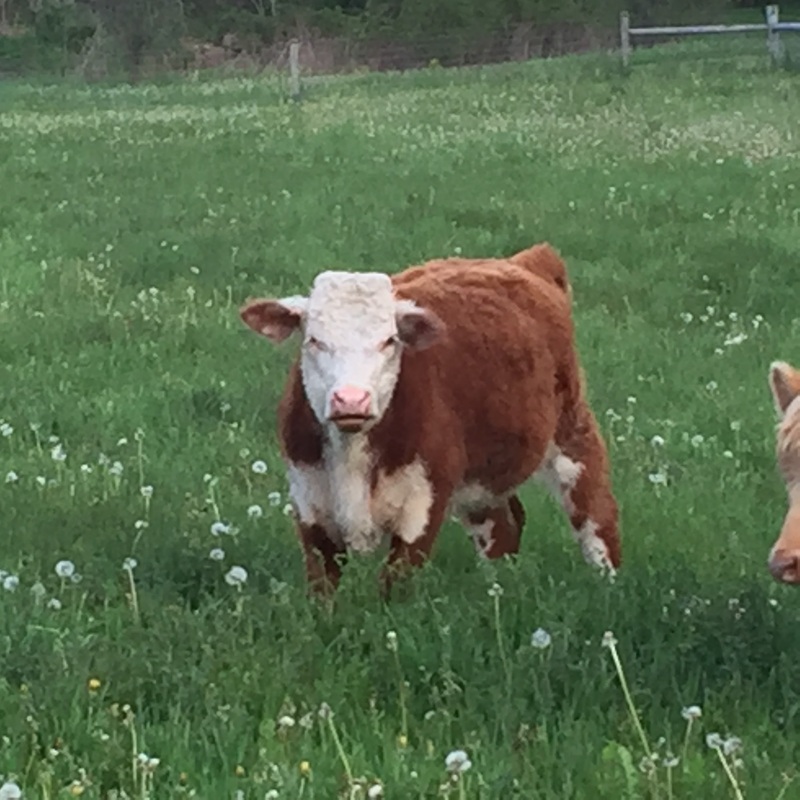 The 3 cows we hosted last summer each gave birth to a calf this spring back at their home farm. 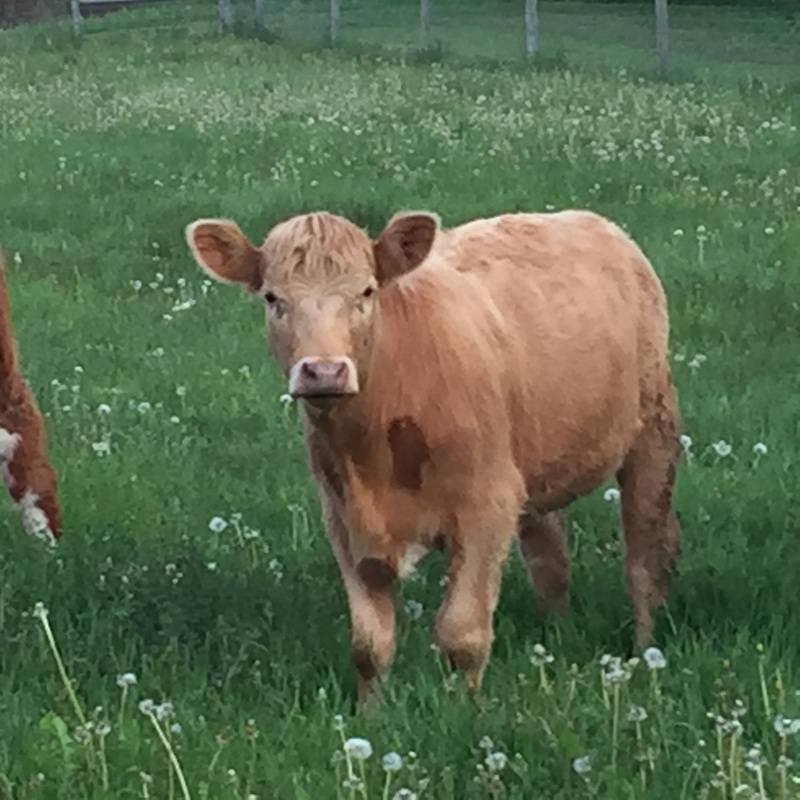 Click through to read more about each of the new cows for summer 2016. Bell’s breed is called Charolais. So far, she is the most inquisitive and friendly and often comes over closest to the fence when we are nearby. Ryla is a Hereford cow. She is more cautious than Bell so far and tends to stand behind Bell when we approach. 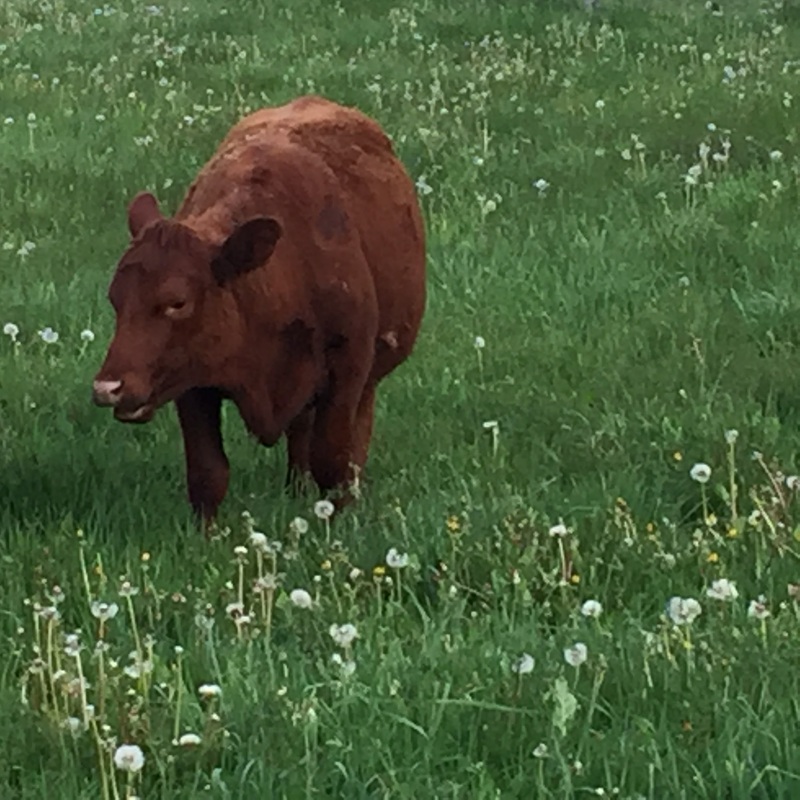 Willow is a Red Angus cow. She is the most cautious of the three and tends to stand farthest back when we are nearby. Hopefully they will all get more used to us over the summer. New cows out in the field. This entry was posted in Animals, Farm and tagged animals, cows, farm by Dan. Bookmark the permalink.